Pugnax FX Capital operates a Regular Payment Facility which will assist you in making regular overseas transfers. Whether you are supplying goods abroad, making mortgage repayments, or adding to your foreign current account, this facility will take the stress out of your foreign currency transactions. We offer free transfers, enabling you to exchange your funds at a competitive exchange rate, meaning you can relax and be confident that your monthly budget is protected from any undesirable movements in the currency market. Each month we ensure that you get the best exchange rate. The facility is free to set up and manage. Pugnax FX Capital offers a comprehensive range of products (See Currency Product & Solutions). If you want to discuss your exposure in the Forex market, just call the number below and one of our experienced Account Managers will be pleased to assist you in selecting the best solution for your requirements. Due to the high volumes of Foreign Currency we purchase on a daily basis we can quote the best live rates. Opening an account with us is free, quick and easy and does not obligate you in any way to trade. 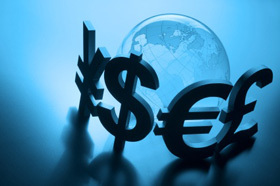 There are no hidden costs or fees to pay on the Foreign Exchange Service we provide. At Pugnax FX Capital we ensure that all our client’s needs are met by an appointed Currency Broker and our dedicated team of Account Managers. We deliver a professional and high level of customer service, resulting in repeat business and a valued long-term business relationship with our clients. We are proud of the fact that the majority of our business comes from personal referrals. Pugnax FX Capital offers both Spot FX and Forward Contracts (See Case Studies). Unlike the majority of high street banks we can fix an exchange rate for up to 2 years in advance on a Forward Contract. This means you will know exactly how much your currency is going to cost in advance and will help guard against adverse currency market movements. Please ask your Account Manager how Pugnax FX Capital can help you manage your Foreign Exchange risks. We will save you time and money. Time is money. At Pugnax FX Capital we make all major currency transfers within 24 hours using SWIFT payments, the international standard for fast and safe transfers. Pugnax FX Capital provides total Security for your funds. All client funds are held in a Segregated Client Account offering additional security on your currency transfers.